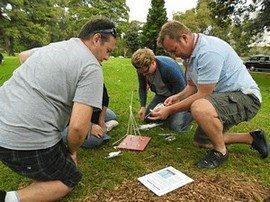 Team Bonding is thrilled to partner with Kombi Style to provide this unique team building activity for teams of up to 30 people. Designed as a hybrid, it uses activities from our ever popular event, the Amazing Race and an old fashioned touring car rally – conducted in the great comfort and style of London Cabs. 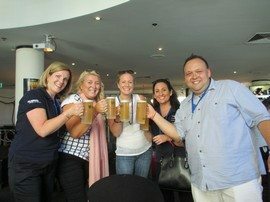 Added Bonus; A brilliant tour of Sydney’s best aspects. You want the variety of a scavenger style event without the running around, because 80% of the distance is covered in the Kombi instead of slogging it out on foot. The perfect choice if you have interstate or overseas guests to show off Sydney or for small teams. If you’ve already done the Amazing Race and loved it, this is the event to consider. 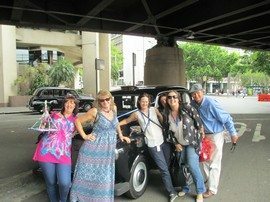 Working in teams up to 5, you get your own cab and driver and travel around some of Sydney’s great sites to complete a range of fun checkpoint tasks. 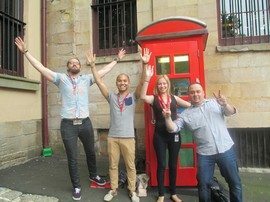 You finish down in Circular Quay with Team Bonding’s famous “Photo Shoot Challenge” prior to a drink at a city pub. 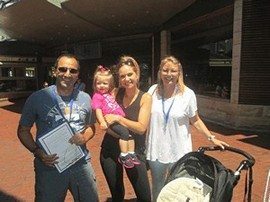 Our standard course has a choice of 2 pick up points; either the Conservatorium of Music or Harts Pub in Gloucester Street on the edge of the Rocks. 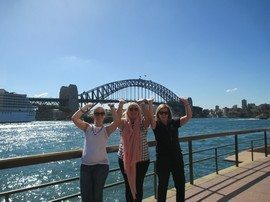 We follow a course that includes Observatory Hill, Elizabeth Bay and across the Harbour Bridge to Luna Park and back to the Sydney Opera House and finishing in East Circular Quay. 4 times along the way you’ll jump out of your trusty cab, complete some challenges and get back in to crack your next destination clue. ENQUIRE BELOW VIA EMAIL OR CALL NOW ON 9949 2989 – WITH ONE SHORT PHONE CALL YOUR EVENT IS SORTED.